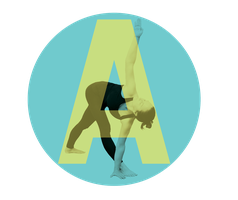 Ashtanga Yoga is a traditional system taught and brought to the West by Patthabi Jois. As in all forms of yoga it is about the "union" of body, mind and soul. Ashtanga Yoga is a dynamic and challenging form of Hatha Yoga. It is characterized by a fixed sequence of asanas (postures), which are practiced in one's own breathing rhythm. The asanas are connected by a flowing sequence of movements (vinyasa). Each breath is assigned exactly one movement. Breath and movement become one and enable a dynamic, yet quiet and even flow in the yoga practice. Ashtanga Yoga combines in a unique way the development of strength, stamina and balance, but also brings flexibility, relaxation and calmness on a physical, mental and emotional level. The goal is to achieve a state of meditation in motion. The system of Ashtanga Yoga offers different techniques to help to calm down the mind and to completely devote oneself to inner attention and mindfulness. Through the dynamic practice and the activation of the Bandhas in combination with the special breathing technique, an inner heat is generated which has a cleansing and detoxifying effect on the body. The aim is to increase the life energy (Prana) and to clean the energy channels in the body.